Folklore Flowers is a floral design studio in Sister Bay, Wisconsin. 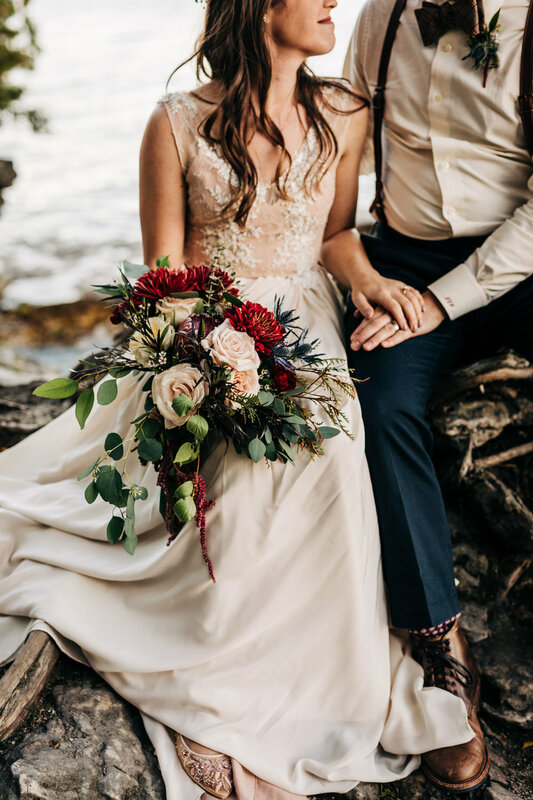 Primarily a Door County wedding florist, we also provide specialty cut fresh flowers for events of all sizes in Northern Door County, Sturgeon Bay & throughout southeastern Wisconsin. We source local, in-season and organic flowers & greenery for our Door County weddings & events whenever possible. The majority of cut flowers in the United States are imported, and we love to support local growers and celebrate sustainability, our local community & fair trade. As floral designers, we are deeply inspired by the wildly romantic & natural beauty of Door County. We are blessed to call Northeast Wisconsin our home, and we excitedly share the rustic elegance of our peninsula. Each wedding or event, we aim to capture a moment in time by tying together our clients' visions with the colors & textures of the season.